PUPILS will be seen in the dark on their way to and from school after they were given hi-visibility vests. 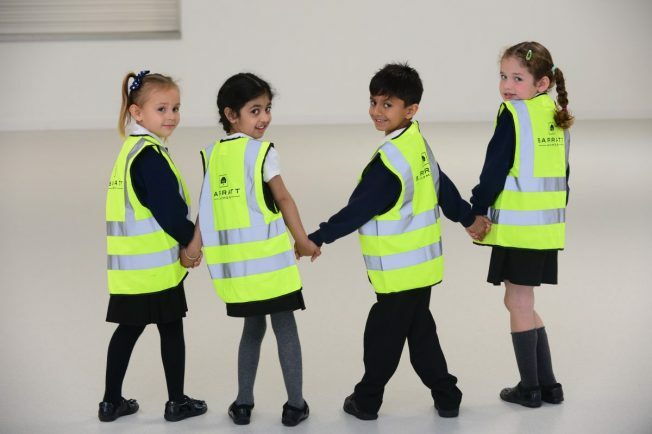 Children from the new Heathcote Primary School in Warwick were given the tops – which were donated by homebuilder Barratt Homes – to ensure they are seen during International Walk to School Month. The campaign encourages youngsters to walk to school in a bid to improve fitness levels. Headteacher Lara Jeffries said: “Since opening Heathcote Primary we have promoted walking to school – we are focused on being healthy, happy and environmentally friendly.